Uniquely flavored pecans are far more than just a delectable recipe ingredient or snack food. 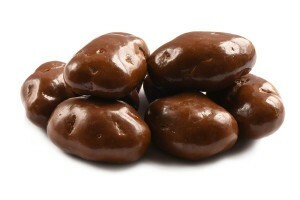 These sweet buttery tasting nuts are packed with vitamins, nutrients, minerals and antioxidants. Due to the amazing nutritional value and health benefits of pecans, there are many reasons to make them a part of your health-conscious diet. Pecans support heart health in a variety of ways. Pecans are credited with helping prevent heart diseases. Pecans have antioxidant properties that help protect the heart and help regulate blood pressure. Hypertension can lead to heart attacks and strokes. High cholesterol can also lead to cardiovascular problems. Inflammation can be a factor in the development of heart disease and many other health problems. Including foods rich in magnesium to your diet can help reduce inflammation and prevent health issues associated with inflammation. 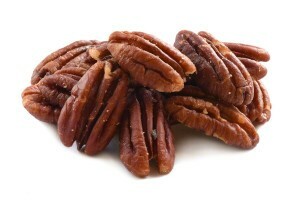 Eating pecans for snack or adding them to recipes is a good way to increase your daily intake of magnesium. Pecans can help you maintain balanced cholesterol levels. Pecans are a good source of manganese which helps protect the body from infection. Manganese also supports a healthy immune system and improves cognitive function. It’s hard to feel your best when you’re experiencing digestive problems. Many people fail to get the minimum amount of fiber in their diet that’s needed to keep the digestive system functioning at optimum level. Adding pecans to your diet is an excellent way to meet the daily requirement of fiber. Fiber helps support colon and digestive health. It also contributes to increasing metabolism which in turn can be helpful if you’re on a weight loss diet. Another reason pecans can help with a weight loss diet is that they promote a feeling of fullness which reduces your urge to snack throughout the day. Pecans contain vitamin A and vitamin E, which are nutrients that contribute to the prevention of wrinkles and premature aging. Toxins in the body can cause skin conditions such as oily skin, dull looking skin or acne. The fiber content of pecans can help eliminate these toxins which in turn will support skin health. 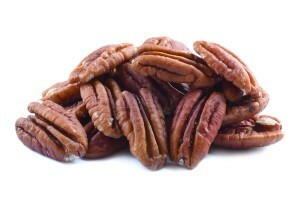 Pecans contain antioxidants that can help prevent the development of fine lines and wrinkles. Their multiple anti-aging benefits are an excellent reason for incorporating them into your diet. Your body needs iron for many reasons. An iron deficiency, known as anemia, can cause you to have a weakened immune system. Anemia can make you feel lethargic. There’s also a connection between an iron deficiency and hair loss. Pecans are a source of L-arginine which promotes blood flow to the roots of your hair. Proper blood flow makes the roots strong which is a basic requirement in having healthy hair. Both men and women can benefit from including pecans in their healthy diet. Pecans contain antioxidants that help prevent some types of cancer. The oleic acid in pecans assist in the prevent of prostate cancer, breast cancer and colon cancer. Pecans are a good source of phosphorus and calcium. They also contain vitamins E and C as well as a variety of antioxidants that help protect your bones from oxidative damage. Including pecans in your diet can help improve the density of your bones and prevent the occurrence of osteoporosis. The phosphorous content in pecans can also contribute to healthy teeth.